The Milky Way sets over Newport State Park in Wisconsin, U.S. Photo by Denny Moutray. 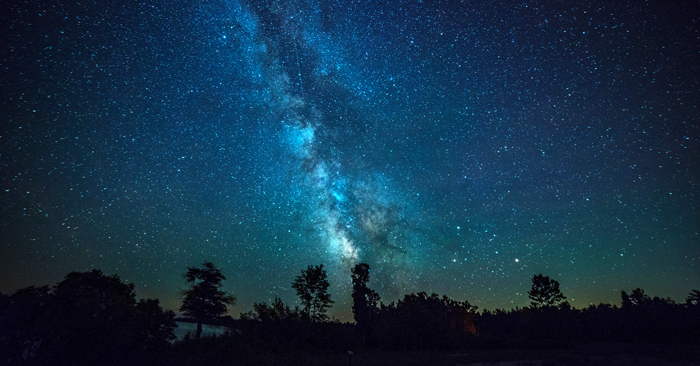 Newport State Park, Wisconsin’s only wilderness state park, has now also become the first state park in Wisconsin designated by IDA as an International Dark Sky Park, one of just 48 parks in the world to earn the distinction. Located at the northern tip of Door County on the western shore of Lake Michigan, Newport has a dark sky that offers excellent nighttime viewing with an unobstructed view of the eastern horizon. As a designated wilderness park, the hectare (2,373-acre) park offers only backpack camping and has minimal developments beyond the park office and a picnic area with a park shelter. With today’s designation, Newport joins the ranks of such U.S. National Parks as Big Bend, Glacier and Grand Canyon. Only 13 other state parks in the United States have received IDA accreditation. The idea for applying for the designation began four years ago when Ray Stonecipher, a local Door County amateur astronomer and member of the Door Peninsula Astronomical Society, approached Park Superintendent Michelle Hefty about seeking the designation. The park will host a dedication ceremony on Thursday, June 22 at which time an official International Dark Sky Park sign will be placed in the park. The ceremony will feature talks by members of the Door Peninsula Astronomical Society and Newport Wilderness Society as well as local officials. The ceremony will begin at 1 p.m. at the park shelter and is open to the public with light refreshments served afterward.